The musical accompaniment in a film plays a big role in the tone of the film. With a really good score, you don’t typically notice it the first time. But if not for the music, it wouldn’t be the same. As with Original Song, I will include a link to where you can hear a sample of the soundtrack. The score in Anna Karenina was composed by Dario Marianelli, who won this award five years ago for another Joe Wright film, Atonement. The music in this film is pretty darn good and has a Russian feel to it, which helps the mood of the story. But as good as it is, the competition is just too steep. Plus, the academy typically branches out and likes to think, ‘You’ve got an Oscar! What are you complaining about’. And we also have the factor that Anna Karenina is NOT a Best Picture Nominee. Our next nominee is Argo, composed by the legendary Alexandre Desplat. Desplat has managed five nominations and no wins, but I don’t think that this will be his year. For Argo, Desplat seems to be thinking that less is more. There are a lot of scenes without music, where the dialogue and content of the scene is left on its own. This makes the moments where music does come through much more effective, but still, I think that the academy tends to vote for quantity over quality. Take Life Of Pi, composed by Mychael Danna. This is his first nomination, but I expect many more. The indian themes, both light and dark set the tone of each scene, and considering that it’s a boy and a tiger for an hour and a half, the music plays a big part in never letting the audience get bored. Not only is it the best score of the year hands down, but it is also a big part of the movie, and it’s likely to grab the attention of Oscar voters. However, I wouldn’t call it a lock. 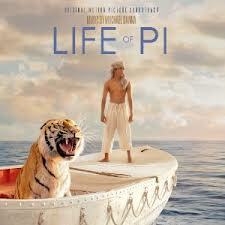 There seems to be a two-way race between Life Of Pi and..
Lincoln, composed by John Williams. Williams is practically a god in the music industry, winning five academy awards and dozens of nominations. However, his last win was for Schindler’s List back in 1994. Since then, he’s been nominated for Nixon, Sabrina, Sleepers, Amistad, Saving Private Ryan, Angela’s Ashes, The Patriot, Harry Potter And The Sorcerer’s Stone, A.I. Artificial Intelligence, Catch Me If You Can, Harry Potter And The Prisoner Of Askaban, Munich, Memiors Of A Geisha, War Horse, The Adventures Of Tintin, YOW!!!! That’s a LOT of nominations without any wins. Maybe Academy voters feel he’s lost his touch. I don’t know, I think he’s still a contender, but man, I think Williams should quit while he’s ahead. Oh yeah, Skyfall is also nominated. The composer is Thomas Newman, who is slowly but surely becoming one of my favorite composers, working on such films as Finding Nemo, WALL-E, Wreck-It Ralph, and now this. His work on Skyfall is hectic and exciting, yet also pays tribute to Classic Bond. However, for as many nominations as he has, the guy has yet to win. I think that the competition is too stiff for him to win this year, but hey, don’t give up hope.